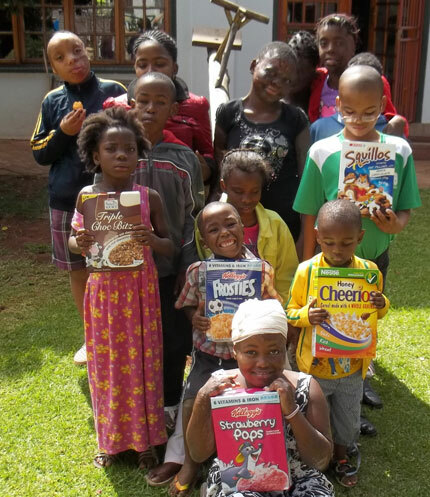 Charities have to be practical in 2012 and so we sent a message out in April, to ask well-wishers to give our children breakfast cereal rather than chocolate mallow eggs. We are not saying that our children cannot ever have any sweets, but in terms of priorities, cereal and milk are far more important than short-term sugar highs from confectionary that they don't need. 2012 is already a tough year with even the most frugal expenditure being higher than the public donations coming in. This sets a limit on the charity's existence. We have never had a large long-term corporate sponsor. Most of what Children of Fire does is based on long years of goodwill, gifts in kind and the ability to persuade people to assist at no cost or at low cost. While the amount of specialised medical knowledge within the organisation is now vast, the ability to apply it with the ever-decreasing population of surgeons in Africa, is hard. Our long term goal remains to establish our own hospital: working name Place of Miracles. It has its own section on this website. Our short term goal is to get all the children currently in our care, the surgery that they need. What sometimes derails the process is people outside the organisation, who don't comprehend what we can do. Dorah's story should suffice to make it crystal clear to them. Children of Fire takes children that the world has given up on, and fixes them. Operation by operation, and then provides loving rehabilitation. But the children make it all worthwhile. Dorah Mokoena - the most badly burned little girl in the world to survive - comes of age in April 2012. She turns 18 years old on 12th April. Once a doctor in Alberton wrote: "Her legs as palsied, wasted, she will never walk." He was wrong. We knew he was wrong. And with love and determination over the past 16 years, we have proved that he was wrong. Dorah can walk and talk (a little) and dance and is a much-loved member of the Children of Fire family. Read The Times of London, December 16th 1997, for Dorah's story - also on this website. Her life will always be complicated but contrary to the "wisdom" of many, she has quality of life. That's thanks to her mother Bronwen Jones, her brothers Tristan and Sizwe Jones, and thanks to all who have helped the charity from the day that we started battling for Dorah.